Let’s make 2010 the year that New Zealand stamps out loan sharks. The Government and the community working together have the power to do this, using a range of strategies. And what’s more – it would not actually be that difficult to do. I believe that just two steps hold the key to success. The first would be for the Government to make credit available at low interest rates and with minimal fees to low income borrowers through Kiwibank. Borrowers would still pay interest so that the loans could be done on a commercial basis, but providing access to credit at reasonable rates would immediately remove people from the grasp of unscrupulous lenders. The second move would be for the Government to set up car yards to sell secondhand vehicles at reasonable prices. The cars would be checked to ensure that they were roadworthy and had a reasonable amount of life left in them. Week after week and month after month for a decade now. I have dealt with people who have bought secondhand cars, only to have them break down completely within days. They are then left with bills for tens of thousands of dollars – since the loan has to be repaid to the finance company regardless of the car’s performance – and no vehicles. There is no need for any further research about the damaging impact of unscrupulous lenders on the most vulnerable members of the community. The 2007 report Pacific Consumers’ Behaviour and Experience in Credit Markets with Particular Reference to the “Fringe Lender” Market set out clearly the harm being done by lack of access to credit at reasonable interest rates. The research found that 42 per cent of the respondents had household incomes of under $15,000, while 22 per cent had incomes of between $16,000 and $30,000, and only 11 per cent had incomes over $45,000. Only 43 per cent were in paid employment. The study said that the most common reason for borrowing was to pay for household bills. The second most common cause of indebtedness to fringe lenders was borrowing to buy a car. The individual cases cited in the study explain just how hard it is for people from different ethnic groups, or with English as a second language, to deal with banks and other top tier lenders. A young Niuean man said that he had wanted to borrow from a bank but his application was not “good enough,” so he went to a fringe lender. A Samoan mechanic said that banks’ processes and procedures were too strict and prevented many Pacific peoples from accessing bank loans. Fringe lenders, by contrast, hook borrowers in by being extremely accessible, providing cash within 30 minutes, and understanding the Pacific approach to life. The research reveals that the most common single item financed through fringe lenders is motor vehicles. This comes as no surprise. It is almost impossible to manage in Auckland without a car, particularly for families with children. People on low incomes are more likely than well-off people to have health problems, necessitating frequent hospital and doctors’ visits for themselves and their children. A car is vital in such cases. However, large numbers of low income people buying cars are being ripped off in two ways. They are charged very high prices for vehicles worth only a fraction of what the purchaser has paid. On top of that, the car is financed by a loan with a high interest rate and excessive loan fees. I have dealt with many cases in which people have been charged $15,000 or $20,000 for cars which are worth perhaps only $5000 or $6000. The vehicles sometimes run for only a day, a week or a month before breaking down and requiring expensive repairs. Sometimes the car stops going altogether, and the family is left with no car and a debt which may be $15,000 to $30,000 or even more. The same was found by the report, which gave examples such as a man who borrowed $9000 to buy a car and thought that he would repay a total of $11,000 when interest and fees were added in, but found that his total bill was in fact $21,000. In another case a Samoan man bought a car for $10,000, but faced total repayments of $25,000. A third respondent discovered that a car worth only about $5000 was to cost her $29,000. The research also found that fringe lenders were concentrated in lower income communities, particularly in South Auckland. The report recorded 38 per cent as the most-commonly mentioned interest rate during the research. This is a truly staggering sum. The Ministry of Consumer Affairs on 29 May 2009 provided a further report on fringe lending, this time to the Maori Affairs Committee. That paper also gave details of the practices of fringe lenders, such as a finance company lending $4800 to a client secured with around $20,000 of tapa mats of high cultural and emotional importance. Another company secured a cash loan of $2600 against the borrower’s home. 1. Cap interest rates. The interest rates lenders can charge should be specified by law and it should be an offence to charge more than that rate. Maximum interest rates could be pegged to the official cash rate, inflation rate or bank interest rates and periodically reviewed. This single step would end most of the rip-offs immediately because it is the huge – and compounding – interest rates which low income borrowers pay that cost them the most. 2. Cap loan fees. Consumer law requires loan fees to be reasonable and related to the costs incurred in preparing loan documents. Moroever, loan contracts nowadays are speedily prepared using precedents and with a few strokes on a keyboard. There is no reason why uniform fee rates cannot be set to prevent unscrupulous lenders from claiming inflated costs. 3. Make low interest loans available through KiwiBank Borrowers could still pay interest and the lender could still earn a profit, but the interest rate would not be excessive. 5. Introduce strict controls on insurance relating to loans. People are commonly talked into taking out loan repayment insurance covering risks which do not apply to them. An example of this is beneficiaries being signed up to insurance contracts covering them for loss of a job. 6. Mandatory legal advice. 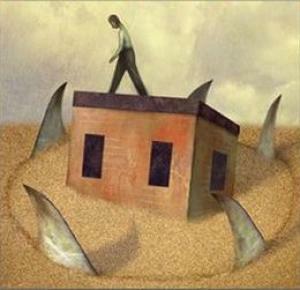 Make it mandatory for borrowers to receive legal advice before signing loan contracts. 7. Change the law relating to cooling-off periods. Borrowers can cancel loan contracts within three working days of borrowing money. However, if debtors have taken possession of goods – such as cars – they cannot cancel the car purchase contract. This means that, even if borrowers belatedly understand that they have been ripped off in their loan contracts, they cannot cancel them because they still have to pay for the vehicle or other goods and cannot get money elsewhere. 8. Involve the Ministry. The Ministry of Consumer Affairs should be charged with taking cases on behalf of individual consumers to enforce credit laws. The Commerce Commission has responsibility for monitoring and enforcing the legislation, but does not act for individuals. The ministry could do that. 9. Plug the gap in the law regarding early repayment fees. The 2005 act was supposed to prevent lenders from charging excessive loan repayment fees, but the first test case produced a disappointing outcome in the District Court. Unfortunately, successive governments have to date shown little appetite to take serious steps to protect low income people from fringe lenders. The recommendations in the 2007 report on Pacific credit were not implemented by the previous government. A review of the operation of the Credit Contracts and Consumer Finance Act 2003 is currently underway, with submissions closing on 14 November 2009. However, the discussion document released by the Ministry of Consumer Affairs and the Government – Review of the Operation of the Credit Contracts and Consumer Finance Act 2003 – appears to indicate that the review will simply tinker with minor issues, rather than lead to the sort of action required to achieve substantial change. Labour MP Charles Chauvel has drafted a member’s bill titled the Credit Reforms (Responsible Lending) Bill which would cap interest rates and require creditors to make inquiries about debtors’ financial positions to ascertain whether they can meet the repayments under the loan. It appears unlikely, though, that the bill has any prospect of being passed. * Setting up a community micro-lending operation. this would be modelled on the Grameen Foundation operations in other countries – The Grameen Foundation uses micro-finance, providing tiny loans and financial services to assist the poor – mainly women – to start businesses and escape poverty. A New Zealand operation could provide cheap loans for household bills, emergency loans for people needing to return to the islands at short notice for family funerals, and for car purchases. 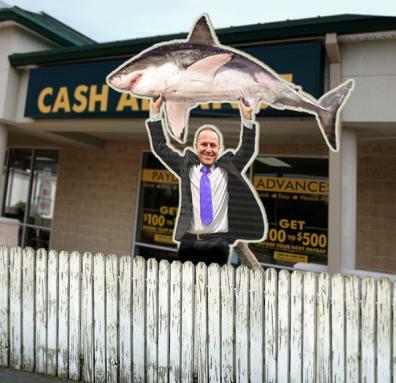 This would remove people from the clutches of loan sharks without the need to wait for a government to act to do it . People with small spare sums of money – perhaps a few hundred dollars or, even better, a few thousand – could put the money interest free, into a fund which would lend to people needing assistance.The borrowers would repay the money as they could, and the repaid money could then be lent to someone else. *Car pools – in Berlin, a scheme operates enabling people to make use of cars when they need them, rather than everyone buying their own cars when they do not require them every day. Is anyone willing to look into setting up a micro-lending operation in New Zealand ? Catriona MacLennan is a South Auckland barrister and journalist.